Attending the National Youth Leadership Training (NYLT) program can be one of the best experiences a scout can have in boy scouts. The program is focused on training scouts to become leaders. Troop 964 firmly supports and encourages the program. 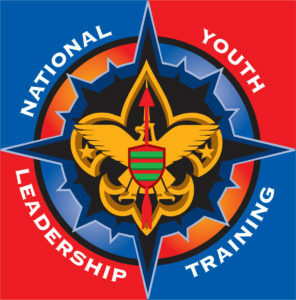 The NYLT course centers around the concepts of what a leader must BE, what he must KNOW, and what he must DO. The key elements are then taught with a clear focus on HOW TO. The skills come alive during the week as the patrol goes on a Quest for the Meaning of Leadership. It is a six-day course and a scout must be at least 13 years old, be first class and have his scoutmaster’s recommendation in order to attend. Scouts from Troop 964 typically attend the Camp Sol R Crown session. This year it is held July 10th through July 15th. Though our troop is involved with the program, it is not a troop event. Therefore, scouts should discuss with their scoutmaster, and then the scouts are responsible for registering themselves.